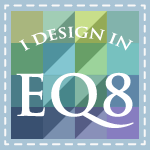 I have received so many requests for EQ7 that I finally put it up on my website! 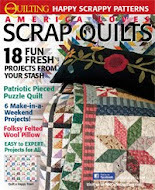 I am offering the full program for $125.00 plus shipping and the Upgrade for $55.00 plus shipping -- but only through May 31. After that the program and upgrade will both be available on my website for the full retail price of $189.95 for the program and $89.95 for the upgrade from EQ6. 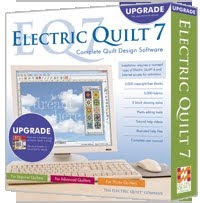 Check out Electric Quilt's website for features and prices and you will see that I am offering for less during this pre-release promotion. The new version includes a great new worktable for working with pictures and an improved custom set worktable with a grid to make creating your own settings even easier. 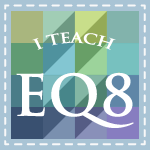 If you have a licensed copy of EQ6 you can purchase the upgrade. And no worry about a limited number of activations as in EQ6. EQ7 will have unlimited activations! Please note, this is a pre-release price available only until May 31. 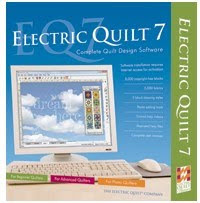 Electric Quilt will begin shipping June 7 and I will ship all prepaid orders as soon as I receive the programs from EQ. This is a great product and a great price.